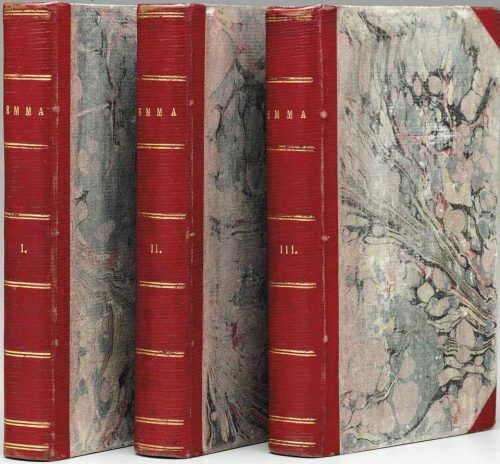 Upon any disparities between Emma and its immediate predecessor, Miss Austen must have derived but scant enlightenment from the notice in the Quarterly, which, by some mischance, while professing to summarise her former novels, is absolutely silent as to Mansfield Park. Of the Story of Emma it gives a sufficient report, and an extract of considerable length in illustration of Mr. Woodhouse’s peculiarities. The merits of the author are declared to consist in the neatness and point of the narrative, and the quiet comedy of the dialogue, ‘in which the characters of the speakers evolve themselves with dramatic effect’; while the faults are said to lie in the minute detail of the plan, and in a certain tedium in the presentment of such ‘characters of folly kind simplicity ‘ as Mr. Woodhouse and Miss Bates. This latter deliverance, as may well be imagined, gave but qualified satisfaction to Miss Austen’s first biographer, Mr. Austen-Leigh, nor was it to the taste of her next critic, Dr. Whately, who, five years later, in the same periodical, traversed both these propositions, besides devoting several pages to special examination of the neglected beauties of Mansfield Park. Miss Austen’s minuteness, Dr. Whately argues, even if it can be characterised as tedious, is essential to that complete acquaintance with her characters which is necessary to interest the reader in them; and in regard to the strictures which his forerunner makes upon her fools, he roundly maintains that it requires more genius to paint a fool than a person of sense,–‘that to the eye of a skillful naturalist, the insects on a leaf present as wide differences as exist between he elephant and the lion,’–and that the critics who find Miss Austen’s fools too like nature, must (whatever deference hey may outwardly pay to received opinions) also find Twelfth Night and the Merry Wives of Windsor exceedingly tiresome. 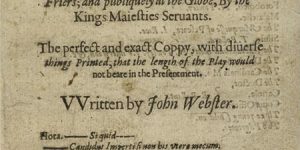 In this, and in other parts of his paper, which unhappily was not published until after Miss Austen’s death, Dr. Whately struck the note of subsequent criticism by which, with more or less emphasis, these opinions have been reasserted–the comparison with Shakespeare not omitted. ‘The hand which drew Miss Bates, though it could not have drawn Lady Macbeth, could have drawn Dame Quickly or the nurse in Romeo ard Juliet.’ So says Mr. Austen-Leigh’s latest successor, Prof. Goldwin Smith. Yet a genuine admirer may perhaps allow that some of the excellent Miss Bates’s speeches, even though they should be taken by the reader in double-quick time, would no be the worse for curtailment. 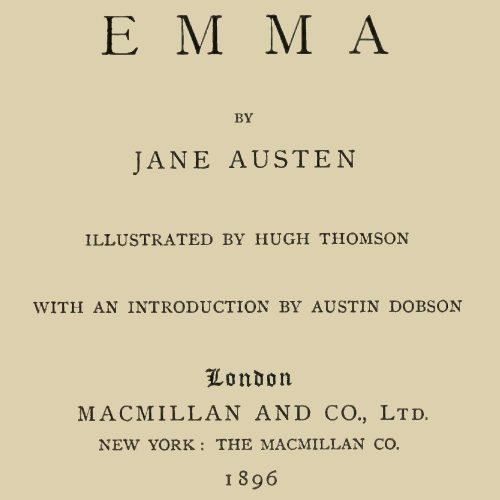 ‘La nature est bonne à imiter, mais non pas jusqu’à l’ennui.’ This, however, is the solitary concession we are disposed to make to the first critic of Emma, whose depressing remarks upon its humorous personages had probably their baneful effect upon the humoro personages of Persuasion. 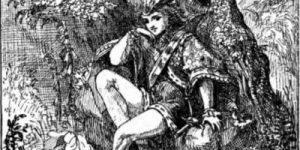 Of the remaining characters, Frank Churchill is of the race of the Willoughbys and Wickhams, though perhaps more genuinely agreeable; while of Jane Fairfax and blue-eyed Harriet Smith, with the vacuous ‘heart to let,’ there is not much to say. The valetudinarian vagaries of Mr. Woodhouse, with his cultus of thin gruel (which once moved a noble Earl to poetry in a contemporary Keepsake), his horror of the deadly effects of wedding-cake, and his rigid views on the reckless circulation of the muffin, are certain comic, if they do not even rise to tragedy at the point where poor Mrs. Bates is summarily deprived of her sweet bread because the attendant asparagus is decided to be imperfectly cooked. But according to our strenuous modern ideas, Miss Austen would have succeeded in attaching us more closely to Emma’s father if she could have given him some stronger rectifying qualities than amiability and politeness, and it is impossible not to be haunted by the feeling that he receives from those about him rather more consideration and devotion than he rightly deserves. Of Miss Bates and her inimitable (if inordinate) babble enough has been said. But the Eltons are little masterpieces. The husband with his watery acquiescences and stereotyped ‘Exactly so’s,’ and the flashy, rattle-paled wife with her Maplegrove-and-barouche-landau background, are character-sketches of absolute fidelity to nature. Utterly commonplace they may be, but they are also undeniably alive. Turning the pages of Emma as we close, we are reminded once again of the writer’s limitations, or, to speak with stricter accuracy, of the limitations within which she prefers to exercise her powers. Her characters, as before, are taken from the middle classes; they live in a country village, to which the story is confined; and they are exhibited in enterprises of no greater pith and moment than are involved in the arrangements for a subscription ball at the Crown, or the preliminaries to a picnic at Box Hill. 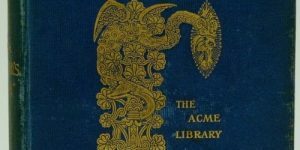 They are unperplexed by problems, social or political: if they are interested in riddles,–transcribed upon hot-pressed paper ‘and ornamented with ciphers and trophies,’–the riddle of, the painful earth has plainly no place in that elegant anthology. There is a clergyman of whose theology we know no more than that lists were made of his texts, not because the discourses thereon were good, but because he himself was good-looking; there are a barrister and a magistrate, to whose practice of their respective vocations about three lines are devoted in three volumes. Books must sometimes have been read even at Highbury; but the evidences of belles lettres are confined to three or four hackneyed quotations (two of which belong to Mrs. Elton) and the casual mention of certain unnamed authors who lie (like Baker’s Chronicle at Sir Roger de Coverley’s) in the window seat at Abbey-Mill Farm. There are references to parochial meetings at the village inn, which must have brought out the relative positions of Mr. Knigntley, Mr. Weston, and Mr. Elton, in a way that would have tempted the pen of Anthony Trollope. But all these things Miss Austen passes by. Doubtless, if she could have been interrogated upon the subject she would have replied–much as she did to the equally impertinent suggestions of the egregious Mr. Clarke–that they were, if not necessarily beyond her hand, at all events beside her matter; and that in any case they were by no means indispensable to the safe conduct of three or four couples towards that ultimate consummation which the high-flown Mrs. Elton describes as ‘Hymen’s saffron robe.’ And whatever Miss Austen’s answer might have been, she is justified by her results. The candid reader Emma–unless, of course, he chance to be the ‘severe, sour-complexioned man’ whom Izaak Walton disallows as a competent judge of literary merit–must admit that the narrative, criticise it as he may, carries him on, interested and expectant, from the first page to the last. There is another noticeable, and probably hitherto unnoticed, difference between Miss Austen’s work and the novel of to-day, and that is, her almost entire disregard of the servants’ hall as a source for her humorous character. It is true that the names of Mr. Woodhouse’s James, Mrs. Elton’s Wright, Mr. Knightley’s Larkins and Harry, reach us vaguely froM the lower regions; but the persons themselves are never definitely presented. Yet, as Thackery would certainly have hinted, James the coachman must have had his own private views as to the dangerous nature of the ‘corner into Vicarage Lane’; and George Eliot would scarcely have omitted to report at least one of the consultations between William Larkins and his master on the management of the Donwell Abbey Estate, besides letting us know pretty distinctly the opinion of the said William with respect to that master’s marriage. Nor can we help believing that Miss Bate’s Patty (if she had encountered her historian in Mrs. Gaskell) would also be found to have entertained from the first very sagacious and profound opinions as to Miss Jane Fairfax and the cause of her mysterious indisposition. The absence of such matters is to the full as remarkable as the sparing use, already referred to in a previous preface, of descriptive detail. Yet even in the present volume Miss Austen shows that she could, if she would, rival the best of the topographers. Take, for example, the following vignette of the Village High Street. ‘Emma went to the door for amusement. Much could not be hoped from the traffic of even the busiest part of Highbury;–Mr. Perry walking hastily by; Mr. William Cox letting himself in at the office door; Mr. Cole’s carriage-horses returning from exercise; or a stray letter-boy on an obstinate mule, were the liveliest objects she could presume to expect; and when her eyes fell only on the butcher with his tray, a tidy old woman travelling homewards from shop with her full basket, two curs quarrelling over a dirty bone, and a string of dawdling children round the baker’s little boy-window eyeing the gingerbread, she knew she had no reason to complain, and was as amused enough: quite enough still to stand at the door.’ That, we submit, is not only clearly seen, but touched in with the true economy of line. Dobson, Austin. Emma. Macmillan and Co., 1915.